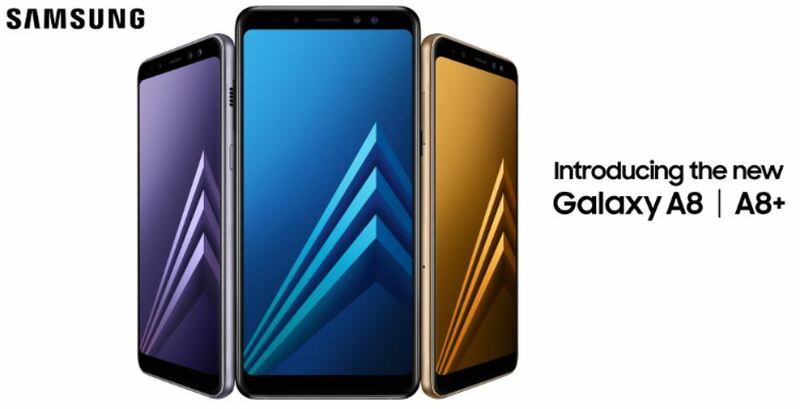 Galaxy A8 2018 and Galaxy A8 Plus 2018: Samsung, on 19 December, launched two new mid-range smartphones called Galaxy A8 and Galaxy A8 Plus. The devices could be priced at around €499 and €599 euros respectively. All though it does not seem apparent at first, the devices are the successors of the Galaxy A5 (2017) and A7 (2017). After their fair share of leaks and rumours, the Samsung Galaxy A8 (2018) and Galaxy A8+ (2018) were officially announced on Tuesday. They bear the design heritage and user experience of the Samsung Galaxy S8. Both the smartphones feature Infinity Displays, IP68-certified dust and water resistance, apart from dual selfie camera setups to take on the competition. Samsung will start selling both the models in early January 2018. Samsung Galaxy A8 (2018) and the Galaxy A8+ (2018) both sport an IP68-certified build and come with Samsung Pay integration. Also, the smartphones are the first in the Galaxy A series to support the company’s Gear VR headset. Both will come in four colour options, namely, Black, Blue, Gold, and Orchid Grey – targeting millennials and young customers. Specification-wise, the Android 7.1.1 Nougat-running Samsung Galaxy A8 (2018) and Galaxy A8+ (2018) appear as the successors to the company’s Galaxy A5 (2017) and Galaxy A7 (2017). The Galaxy A8 (2018), among the two, features a 5.6-inch full-HD+ (2220×1080 pixels) Super AMOLED display with 18.5:9 aspect ratio (the same as the Samsung Galaxy S8), while the Galaxy A8+ (2018) has a 6-inch FHD+ Super AMOLED display. There is a curved glass protection on top of the Infinity Display panels, identical to the ones featured on the Galaxy S8 and Galaxy S8+. Under the hood, both the smartphones have an octa-core chip with two cores clocked at 2.2GHz and six cores clocked at 1.6GHz. The Galaxy A8 (2018) has 4GB RAM, whereas the Galaxy A8+ (2018) comes in 4GB and 6GB RAM options. Samsung has provided two front-facing camera sensors on the Galaxy A8 (2018) and Galaxy A8+ (2018) to persuade the selfie-taking youth. There is a 16-megapixel fixed focus, f/1.9 camera sensor and an 8-megapixel f/1.9 sensor. Both the sensors provide users with the option to either have a blurred background to create a bokeh effect on their selfies or have a clear and crisp background as well as a focused foreground. Also, there is a pre-installed Live Focus feature that helps users to adjust the Bokeh effect even after capturing the self-portraits. In addition to the dual camera setup, the smartphones have a 16-megapixel camera sensor on the back with an f/1.7 lens. The rear camera sensor supports video digital image stabilisation (VDis) technology and has features such as hyperlapse and a Food mode. The Samsung Galaxy A8 (2018) and Galaxy A8+ (2018) have 32GB and 64GB onboard storage options that are expandable via microSD card (up to 256GB). On the connectivity front, the smartphones have 4G LTE, Wi-Fi 802.11ac, Bluetooth v5.0, GPS/ A-GPS, NFC, and USB Type-C port. Besides, the Galaxy A8 (2018) packs a 3000mAh battery, while the Galaxy A8+ (2018) has a 3500mAh battery. With the release of the Galaxy A8(2018) and A8+(2018), we’re bringing our customers’ favorite features from our flagship smartphones, such as the Infinity Display and our first Dual Front Camera with Live Focus, to our Galaxy A series, which is already known for its premium design,” said Junho Park, Vice President of Global Product Planning – Mobile Communications Business, Samsung Electronics, in a press statement.